Another woman responded to her the following that will bless all of you! 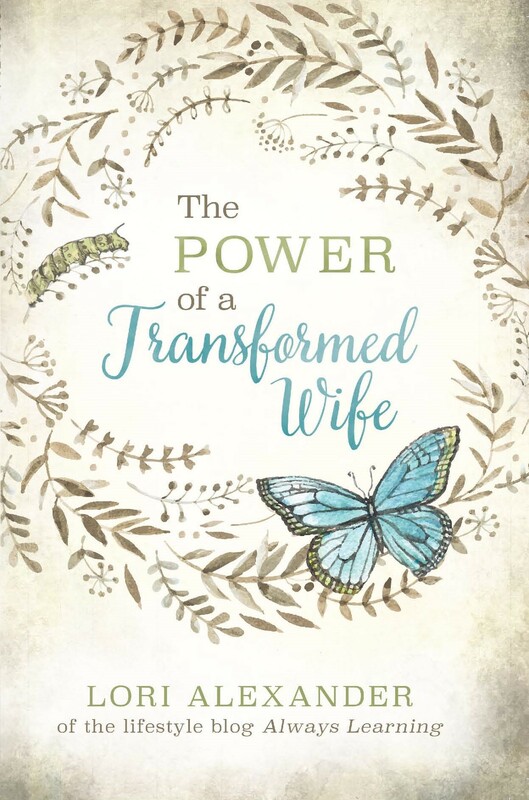 “I am married to a precious man, made in the image of our Father, who almost died on September 1, 2016 during one of our three marital separations, from an enormous brain aneurysm. But God. Even now, he is FAR from perfect (as am I), and he has yet to be our provider financially in full (we have four small children still at home.) Why do I say this to you? To have a martyr complex? To guilt you? To show you how “righteous” I am? PERISH THE THOUGHT. No, I share this with you because almost losing your husband DOES put things like socks and dishes in perspective. I do not wish the pain of hearing your husband’s voice from EMS, having a large stroke, on anyone. But I will say: take heed to the words I share. There is perspective. When you look at that dishwasher, thank Jesus that you have hands to load it and push the buttons to turn it on. Thank Jesus that you are healthy enough to get up in the middle of the night and do it. Thank Jesus that you even have a husband. Thank Jesus that you do not have to wash your dishes in prison. Anything you can think of to get the focus off of self and onto Jesus. Great post! Wonderful and heart touching response from the lady in the chat room. I used to be this way about things and if I’m not careful, I can lean towards doing it again. It really shows exactly how selfish you are. I just try to remember, those dirty socks lying in that floor come from MY hard-working man who has put in eight grueling hours in the heat, and put up with the stresses that go on at his job, so that I can stay home. Really, it is an honor that I get to pick up his socks if he leaves them in the floor. Why do we women have to make EVERYTHING about us? Remember, it is a blessing to be able to be home, just ask any working mom that wants to be able to be home. I’m sure she would be glad to pick up her husband’s socks. Ladies, stop being complainers and nagging your husband to death. Do your job with joy and gladness, after all there is always someone out there that would gladly trade places with you. If you honestly put yourself in your husband’s shoes and think “Would I want to come home to someone that doesn’t care that I have worked hard today to provide a home and for my wife to stay home, nope all she cares about is what I’ve done wrong”. Also, so many mom push the allow your kids to make mistakes, and don’t constantly criticize your child, and have grace and mercy with your child, yet we don’t show any of that to our husband? Why? HE is our one-flesh partner in this life, doesn’t he deserve more? Absolutely he does, so be glad and joyful around your man. When he walks through the door, give him a great big kiss and let him know you are glad to see him! Forget those stupid socks and go fix your man a meal he likes. Embrace your role as a helpmeet and do it to the best of your ability. Trust me, you don’t know true joy and happiness in your marriage until you do. Wonderful encouragement for us all, HH! Thank you. I just smile when picking up my husbands socks. It reminds me he’s here in my life. He smiles when he trips over my shoes I’m always forgetting to put up because it reminds him I share life with him too. We don’t sweat the small stuff here. That sure makes a marriage stronger, Annie! My only rule is that dirty clothes must be dropped in the corner of the bedroom or stay in the bathroom. I have no problems doing a laundry pick up sweep each morning before leaving but it just needs to stay in it’s designated space. I draw the line at having it dumped and left in my kitchen, hah! Thankfully my husband is pretty neat and usually tosses his stuff straight into the hamper. If he forgets or is too exhausted he knows which zones to drop them in. I find setting a zone for certain clutter things makes it easier on both spouses. ? Compared to the widows whom have lost there husbands. Our church has had 2 recent deaths of husbands and left earth way too young. One from a brain aneurism and another from a heart attack. And both these woman never missed a Sunday service. I’m sure they would love to put up with a sock on the floor again. No problem at in my thinking should come home and just leave everything everywhere thinking well it’s my wife’s job to clean, because all day she may ha e been working so hard at home all day as well. You are so right, Rob! Thank you. What a way to put tiny daily inconveniences into eternal perspective! I was raised by a widowed mother so I have a (VERY limited!) perspective of what it’s like to have the person you expected to share your life with there one day and gone the next. I can’t imagine going through that, can’t imagine waking up everyday without my husband there. I would joyfully pick up and wash MOUNTAINS of his smelly socks every day to never learn what that is like. I do have a question about part of the definition of “reverence” from yesterday, which is “fear mingled with respect and esteem.” Fear? Why would I *fear* my husband…or better yet why would I have married someone I fear? I think there must be something I’m missing here because fear of ones spouse surely isn’t a positive thing. I’m a bit of a “language nerd” so I absolutely love your word studies and learning the basics of what we’re instructed to do, but I think I must have misunderstood something yesterday. I sure dont fear mine. Does this mean I dont reverence him? That’s what I was wondering, Phylla. I try my absolute best to do the other things outlined in the post, but I don’t fear my husband even a little bit. I don’t know that you can love someone and fear them at the same time. Does the biblical sense of the word “fear” mean something different than the worldly sense then? Would you consider doing a word study on this because I’m still really struggling. Yes, I will be doing a word study on it hopefully next week, along with chaste. When I was still single I was in a Bible study where one woman complained about her husband’s socks, underwear, etc. almost every week. One week I asked her if he was a good husband, she said yes. Is he a good father, she said yes. Does he go to work everyday and provide for you and your children, she said yes. I said, I’d be glad to pick up his socks, underwear and anything else he leaves behind if he was willing to do those things for me. I didn’t marry until I was 38 and yes – I have a wonderful husband and father to pick up after now – to the Glory of God! You have a servant attitude, Phyllis, and your husband is blessed. You are rare in this day and age and your price is above rubies. My wife scolds/ed for words I or my side of family use them, but if her friends or family and kids friends use those same words she doesn’t say anything. Just last night it came up and she said it’s different because I am her husband. So does this mean she gets to respect me less and I have to take it because I am suppose to be understanding? I just love this. Years ago, I was upset about something little like this. My sweet mother took me by the hand and said “don’t complain about these measly things. Praise God that you have a wonderful husband TO pick up after!” Those words have always echoed in my head and heart. brilliant post! too often we worry about the small things…. 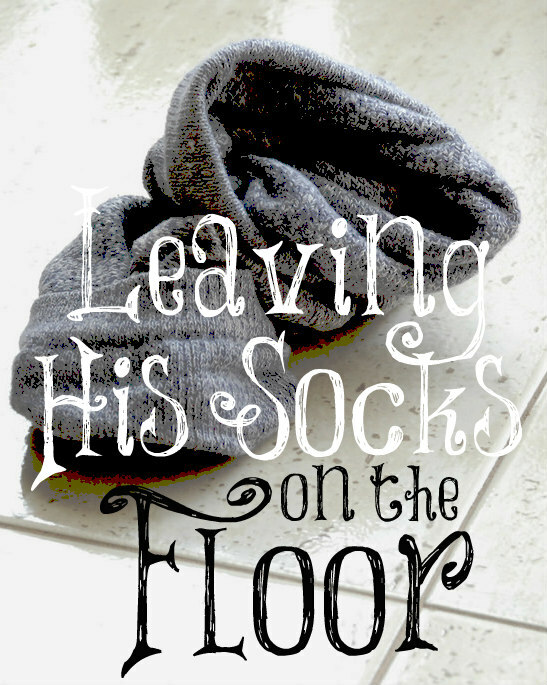 if he does not respond to a gentle “honey please can you pick your socks up off the floor?” i recommend doing what this wife did.